The glass-ventilated reflector SPUTNIK 125mm is one of the best value for money on the market. This reflector offers all the distribution that a COOL TUBE cannot offer, because its dimensions 450x380x180mm enable you to spread the light on a surface of 1m². 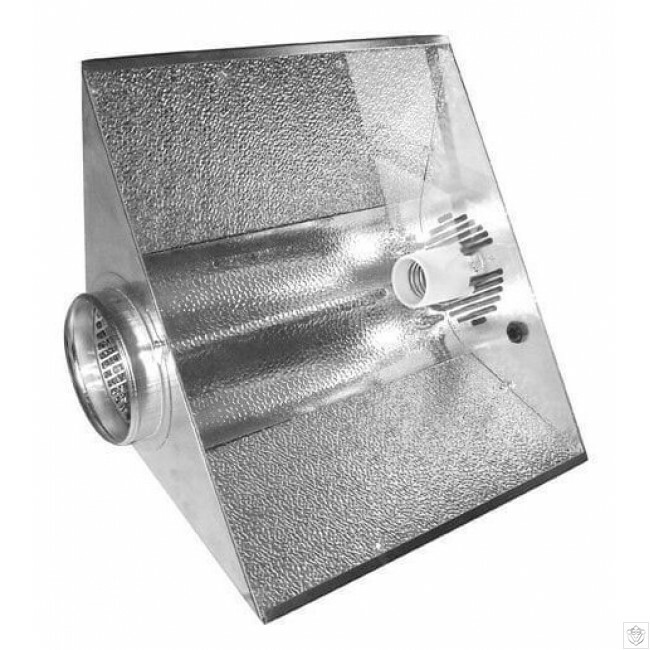 Glassed and ventilated with 125mm diameter that connects directly on an air extractor, this reflector will enable you to evacuate a maximum of heat of the reflector, giving you the opportunity to bring it closer to plants, without any risk of burn (safety distance between top of plants and bulb divided by 2). Comes complete in its box, ready to assemble, with installation instructions (installation in 5mn).